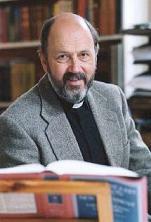 The Bishop of Durham, N. T. Wright, is currently on his first lecture tour in Australia. Fortunately, although we Protestants were slow to act, the Roman Catholic Archbishop of Brisbane has kindly persuaded Wright to visit Brisbane as well. So he’ll be here in Brisbane for two full-day seminars on Friday 31 March and Saturday 1 April. On Friday his topic will be “Jesus’ Mission,” and on Saturday it will be “Christian Mission in a Postmodern World.” I have the greatest respect for Wright’s scholarship (in spite of my loyalty to Bultmann), and I’ll be going along on Friday to hear him talk about the historical Jesus. I’ll be sure to post something about the seminar afterwards. If you’re in the Brisbane area and you’d like to come along, then you need to register by 24 March (see the details here).